In order to equip for this divine call, Pastor Rudy earned two degrees from Dallas Theological Seminary, Dallas, Texas—Master of Arts in Christian Education and Master of Arts in Biblical Studies. Further, Pastor Rudy previously earned degrees at: Massachusetts Institute of Technology, Master of Science, Management as a Sloan Fellow; University of Southern California, Master of Science in Operations Management, Interdisciplinary Studies in Psychology, Leadership and Operations Management; and the University of Oklahoma, Bachelor’s Degree in Electrical Engineering. Prior to the inauguration of His Hands CBF, Pastor Rudy served at North Dallas Community Bible Fellowship in Plano, TX for six years. He provided leadership to the Christian Education & Equipping Ministry for Adults, Youth and Children. Prior to his arrival in Dallas, Pastor Rudy served at St. John Progressive Missionary Baptist Church in Tampa, FL as a Minister of the Gospel, biblical instructor, consultant, deacon and board member. He served in this capacity for a period of five years. 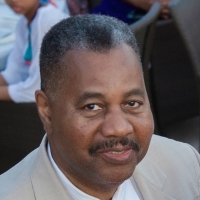 For a five-year period, Pastor Rudy served as a deacon at Metropolitan Baptist Church, Newark, NJ, where he assisted the Sr. Pastor and congregants to support biblical mandates.